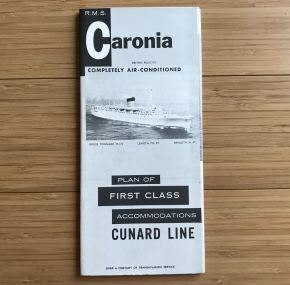 For some reason, this 1960s deck plan for Caronia is not as easily found as some of her other Cunard sisters. 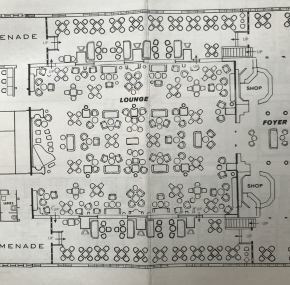 Dated 1965, the plan shows the changes made during the major refit that year. 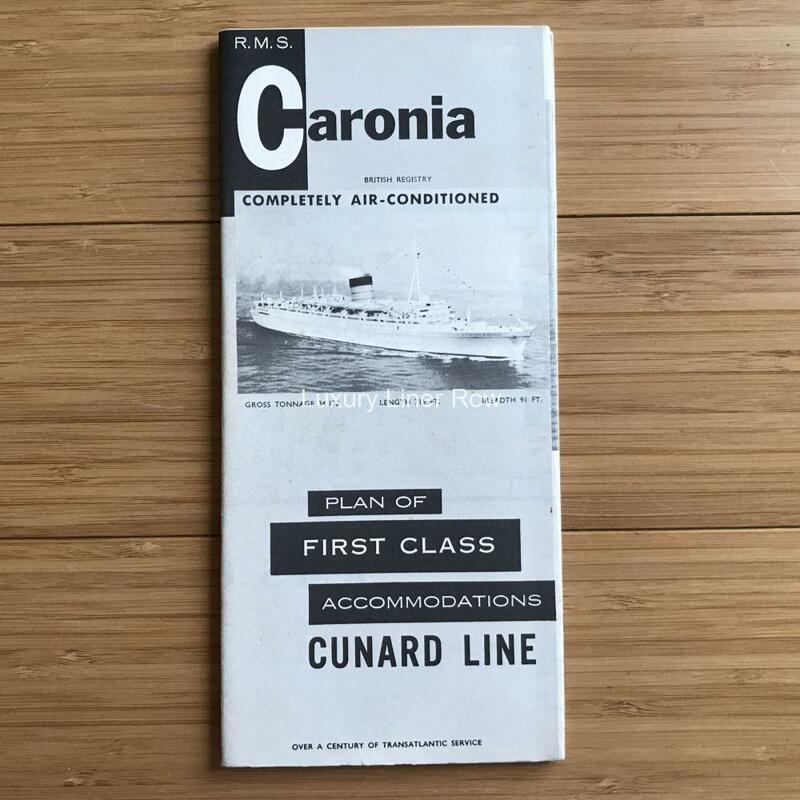 You know, the one designed to keep Caronia service for 10 more years…. 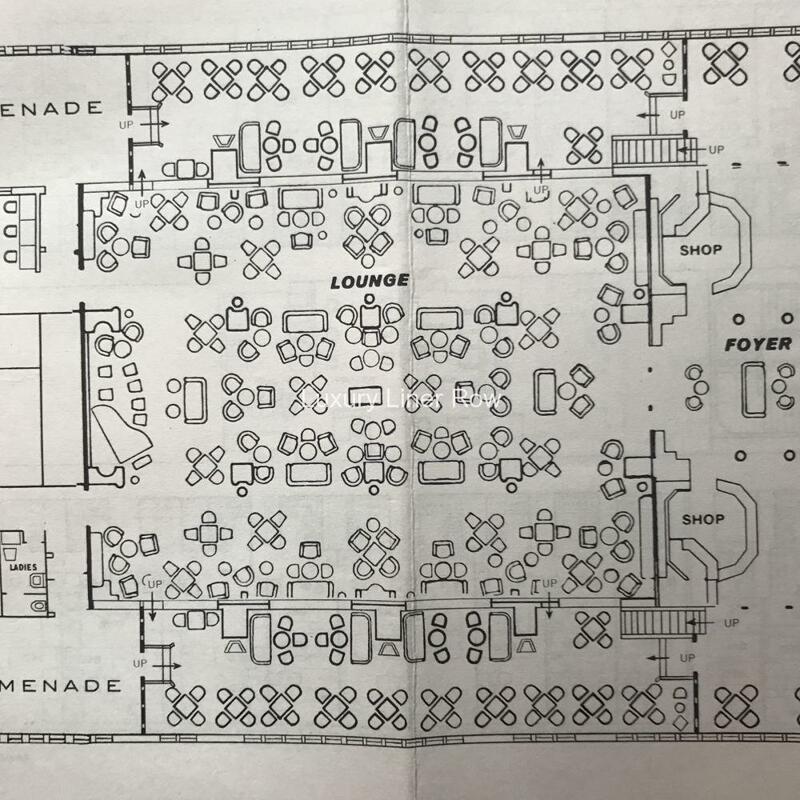 Oddly, the photo of the lounge that was used still shows it as it appeared 1949 and not the early Brady Bunch re-do. In excellent condition and measures about 32″ x 9″.